Congress President Rahul Gandhi on Monday promised Rs. 72,000 per year for the country’s 20 per cent of poorest families under his much-touted Nyuntam Aay Yojana (NYAY) or Minimum Income Guarantee scheme. “In last 5 years, people have India have faced many struggles. Congress party has decided to give justice for that. We have defined Minimum Income Line at ₹12,000 per month. 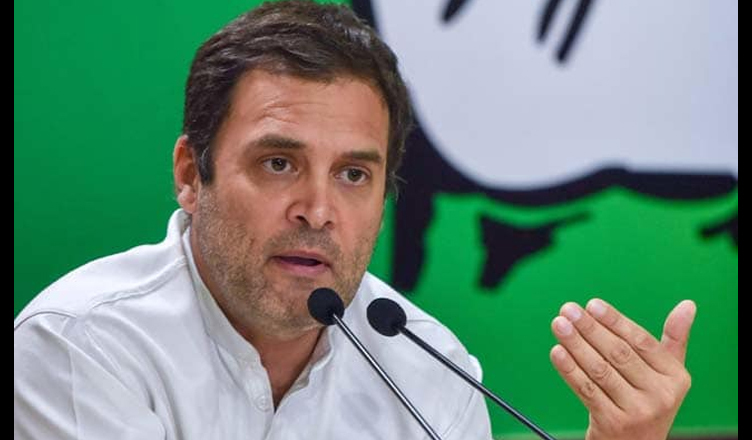 Congress party guarantees that 20% of poorest families will receive ₹72,000 every year,” Gandhi said while addressing a press conference in New Delhi. The Congress Chief further said that 5 crore families i.e. approximately 25 crore people will benefit from the scheme. “14 crore people were lifted out of poverty under the MNREGA scheme. This scheme will lift 25 crore people out of poverty,” he said. “It is not acceptable for us that we find poverty in 21st century. This is a final assault on poverty,” he added.